There is a vicious cycle of using mental health patients to court ordered treatments. Many thousands mental health patients are denied liberty disingenuously and upon bases that have no relationship to case law or to statutes. There is a systemic problem of medical fraud within mental health facilities and the violation of human rights protections for the mentally ill in the USA. There is essentially no enforcement of protections for human rights for those who are considered mentally ill, this makes medical fraud within this closed medical community very easy and profitable. There are billions of dollars of federal taxpayer monies paid on US medicare and medicaid payments for what is essentially a system of using the mentally ill as "cash cows". It would probably be difficult to find any US psychiatrist working with the mentally ill who has not, at a minimum, exaggerated the dangerousness of a mentally ill person's behavior to obtain a judicial order for commitment. Emergency crisis admissions occur in order to establish a new Medicaid billing cycle. There are ping pong arrangements between cooperating facilities that permit maximum billing for both. There is lack of due process in court ordered treatment and no real protection of human rights through the guardianship system. There is up coding, fraudulent billing, fraudulent diagnosis - leading to life long in hospital treatment, and multiple diagnosis to allow maximum medicaid/medicare payments with little increase in charting time spent. This means that doctors are paid to make the patient look as crazy as possible - with the only proof of their "craziness" the written record produced by the doctor who will financially benefit the most. Many patients are forced into life long forced treatment often by the court system. There is little scientific basis for these forced treatments and they are permanently damaging hundreds of thousands, if not millions, of people. In no other field of medicine is this kind of forced treatment allowed. 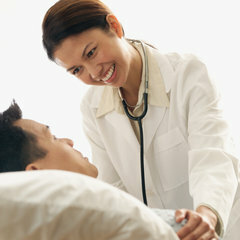 There are many people who see psychiatrists and voluntarily, even eagerly, take psychiatric medications. This concern is not about a patient's right to make an informed choice to take medication, nor of his legal guardian acting properly in his/her behalf to authorize medications or even the right of patients to get their medications paid by the US Medicaid/Medicare system. The concern is instead regarding forced treatment where there has been no due process to protect human rights in the court system and no informed consent for treatment. Many psychiatrists, with the full understanding and tacit permission of the trial judges, regularly lie in court to obtain involuntary commitment and forced medication orders. Courts accept testimonial dishonesty, specifically where witnesses, especially expert witnesses, show a high propensity to purposely distort their testimony in order to achieve desired ends. Experts frequently and openly subvert statutory and case law criteria that impose rigorous behavioral standards as predicates for commitment. (3) insurmountable barriers are raised to insure that the allegedly "therapeutically correct" social end is met. There is an increased use of the force of law (court orders) to compel people to submit to unwarranted psychiatric treatments they do not want. What unfolds is travesty of denial of due process in a legal system of Catch-22's for the patients and one where the courts have not only abdicated to "professionals" their responsibility to protect the rights of people coming before them, but also condones perjury in furtherance of this abdication. The concept of "the doctor knows best" prevails and therefore it is OK to have the pretense of procedural due process without substantive real due process. Legal guardianship in relationship to court ordered treatment is a farce and does not protect the mental health patient from human rights abuse. This outright disregard of the law has lead a growing revolt among principled psychiatrists over the abuses of forced psychiatry. 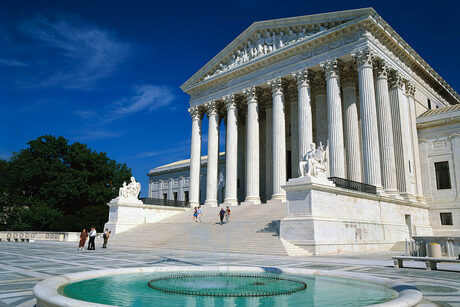 In the Supreme Court Decision of Sell v. United States, 539 U.S. 166, 123 S.Ct. 2174 (2003), which while a competence to stand trial case, demonstrates much less deference to "professional judgment" than has been suggested the Supreme Court held in Youngberg. In Sell, the U.S. Supreme Court laid down the following constitutional guidelines: While Sell is a competence to stand trial case, it is hard to see how a person facing forced drugging in the context of civil commitment has fewer rights than a person convicted of a criminal act. These may be good guidelines that delineate basic constitutional principles that should be applicable to the civil forced psychiatric medication context. In the Rennie v Klein, filed in this District in 1977, a former pilot and flight instructor and other patients in New Jersey psychiatric hospitals, sued to block the State from forcefully drugging them. The patients were represented by lawyers from the New Jersey Department of the Public Advocate. District Court Judge Brotman recognized the constitutional right of the patients to refuse treatment, and found that a regulation substantially similar to the Three-Step Process used today in New Jersey insufficiently protected patients’ substantive constitutional rights. Consequently, Judge Brotman issued an order requiring State hospitals to hold hearings to determine whether patients may be medicated against their will, to provide a lay “patient advocate” to represent patients at hearings, and to retain independent psychiatrists to make the ultimate determination at those hearings. Rennie v. Klein, 476 F. Supp. 1294, 1313 (D.N.J. 1979). 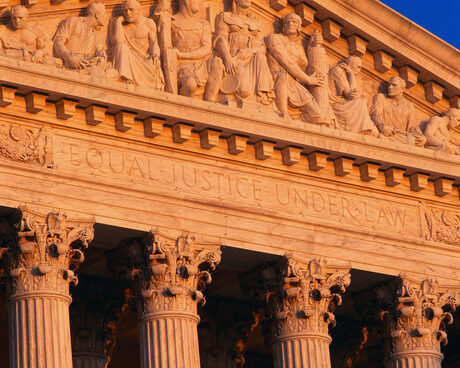 In the legal cases: Washington v. Harper, 494 U.S. 210 (1990); Riggins v. Nevada, 504 U.S. 127 (1992), and Sell v. United States, 539 U.S. 166 (2003) — the Supreme Court held that the right to refuse medication is guaranteed by the Fourteenth Amendment’s Due Process Clause.